Tagmukay is a Shifinagh script font with support for the Tawallammat Tamajaq language. The script name is more commonly spelled Tifinagh, but Shifinagh is the preferred spelling in the region where Tawallammat Tamajaq is spoken. 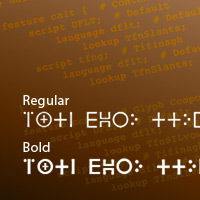 Tagmukay is a Unicode font that features bi-consonant ligatures and alternate forms necessary to support this language. 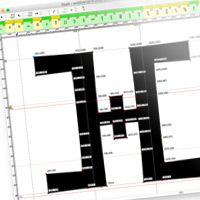 It has Graphite and OpenType tables that have the logic to support these features. Tawallammat Tamajaq, when written in the Shifinagh script, follows the traditional “consonant only” way of writing this ancient script. The Tagmukay fonts have these consonants and also the logic needed to form the bi-consonant ligatures needed to distinguish between vocalic and non-vocalic consonant clusters. The fonts use state-of-the-art OpenType and Graphite font technologies to provide accurate typography, with correctly positioned combining marks, properly formed conjuncts, and a wealth of alternate forms and variant glyphs. Read more about our smart font features. Tagmukay has a character set specifically for Tawallammat. The fonts have a Shifinagh character set of 24 consonants, one vowel (found word-final) and one punctuation character. Additionally, there are 19 bi-consonant ligatures (includes a variant) and a special consonant joiner character to form these ligatures. Read more about our character set support. 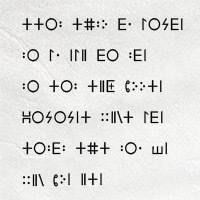 "I tried other Tifinagh fonts but none rendered the way I wanted it to do until I got this one you produced. Thank you." What is so special about Tagmukay? This font is designed to work with two advanced font technologies, Graphite and OpenType. To take advantage of the advanced typographic capabilities of this font, you must be using applications that provide an adequate level of support for Graphite or OpenType. These advanced capabilities provide the logic for rendering of the Tifinagh script and access to the variant character forms. Read more about our smart font features. Yes. You can create web pages that request that Tagmukay be used to display them. In the download package we provide a WOFF font. See Using SIL Fonts on Web Pages for instructions on using fonts on web pages.